Bella Terra is a gated community located in Estero, Southwest Florida. Among its lush preserves and lakes, you'll find many unique styles of homes, including townhomes, villas, condominiums, and single-family homes. Bella Terra homes for sale provide 24/7 security and a gatehouse to make sure all residents have a sense of safety and privacy. 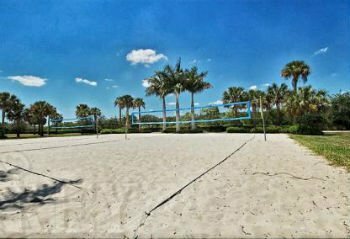 This community is located within miles of Florida Gulf Coast University, Gulf Coast Town Center, and Southwest Florida International Airport. Get instant access to our professional photographs and detailed listings for Bella Terra homes for sale by registering with Key Real Estate today. Located on Corkscrew Road, just a short jaunt from a number of private golf clubs, the extremely popular Bella Terra is among Estero's most attractive communities. With distinctive stucco exteriors and red tile roofs, the ranches, town homes, and estate homes of the neighborhood evoke the splendor and simplicity of life on the Mediterranean. Owning Bella Terra real estate is a great chance to live in a sun-drenched planned community surrounded by pleasant amenities designed to make your life all the more relaxing. Starting at around $165,000, the low-rise condos on Barletta Lane in Bella Terra are a perfect entry point to this exclusive community, providing full access to all of its fantastic amenities. These 1,100+ square foot condos feature two bedrooms and baths, as well as a peaceful breakfast nook that's great for Sunday brunch or curling up with a good book. Previous residences have put much work into upgrading and customizing their spaces as well, so those looking for homes with a bit of character have a lot of options in these condominiums. Despite being situated in a natural setting that lies at a pleasant remove from the outside world, Bella Terra homes for sale are located less than 3 miles east of Interstate 75 and around the corner from fine dining experiences and upscale shopping at Coconut Point and Miromar Outlets. The white, sandy beaches and boating opportunities at Estero Bay Aquatic Preserve and Lovers Key State Park are definitely not to be missed either. Put simply, Bella Terra is central to all of the beauty and adventure of Southwest Florida. Curious about where you could fit in at Bella Terra? Contact Key Real Estate today to learn more about making Bella Terra real estate the next chapter in your life.